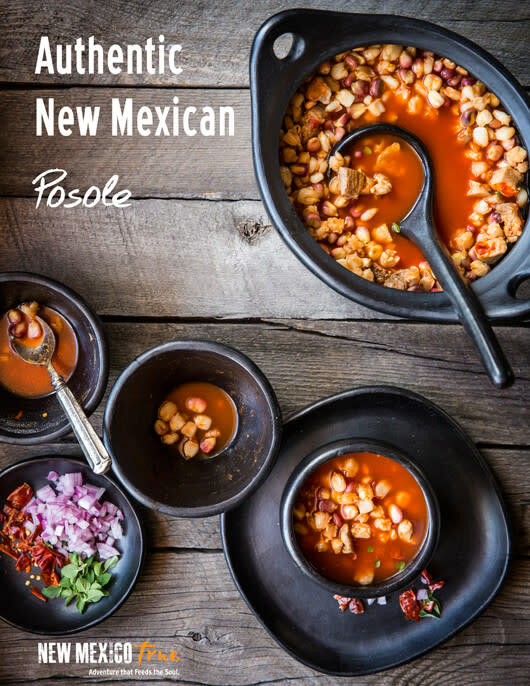 Posole is about as traditional New Mexican as you can get. This savory New Mexican stew is almost always served on Saint’s Day feasts at the pueblos and at Christmas and New Year’s gatherings of families and friends. 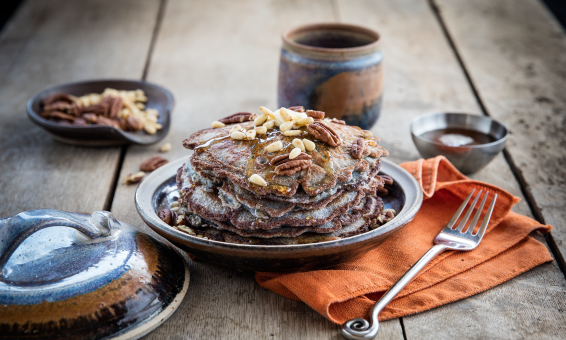 You can also enjoy it for dinner as a side for enchiladas. If you will be using frozen posole, first combine the chile pods with the pork in a Dutch oven or large pot, and simmer together in 4 quarts of water for about 30 minutes. Then add the frozen posole and cook about 30 minutes more. If your posole is dried, add it with the chile, pork, and 6 quarts of water and simmer together for about 1 hour. Stir in the onions, garlic, and salt and continue to simmer over a low fire until the posole is soft. Expect the remaining cooking to take another 30 minutes for frozen posole and at least 1 more hour if dried. Do not be surprised if it takes a bit longer.